Cedar Rapids Accountant to Open an Ignite Spot which saves businesses an average of $45,000 a year in overhead with its unique and streamlined approach to accounting. Local businesses in Cedar Rapids can now get their bookkeeping, taxes, payroll, and CFO services from one local firm. Business looking for a Cedar Rapids Accountant from Iowa will be directly affected by the new Ignite Spot Accounting Firm moving into the neighborhood. Many companies are looking for ways to improve their financial systems while cutting costs due to the current economy. The Ignite Spot accounting system helps businesses nationwide save an average of $45,000 a year in overhead. To learn more about the new location, business owners can visit the Cedar Rapids Accountant site. Their system includes online financial dashboards to keep business owners aware of their company's financial position. In addition, their bookkeeping, payroll, and tax services combine to give CEOs the level of attention they need to grow their companies. 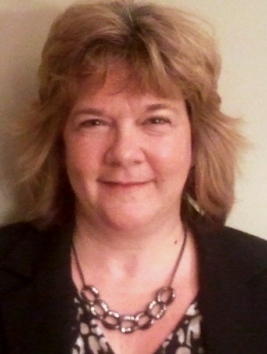 Theresa Whittlesey, CPA and CMA is the owner of the Cedar Rapids, Iowa accounting firm. Her proficiency in helping business owners transform their accounting systems into streamlined and organized financial departments, sets her apart as a valuable asset to business owners in Cedar Rapids. She has gained extensive accounting experience through various accounting and management roles for a variety of organizations. She has a unique combination of government, auditing, tax, manufacturing, not-for-profit, healthcare, service, retail, small and large business experience. These roles have allowed her to develop expertise in accounts payable, accounts receivable, payroll, cash management, internal controls and financial reports. This results in the ability to effectively manage and operate all financial aspects of an operation. Theresa earned her Bachelor of Business Administration degree from Iowa State University in Ames, Iowa. She earned her Master of Business Administration degree from the University of Iowa in Iowa City, Iowa. She is a member of the Institute of Management Accountants. Ignite Spot is a nationwide franchise that employs only the highest level of accounting professionals, online technology, and an addiction for growing their clients businesses. Headquartered in Layton, UT - Ignite Spot is proud to announce its newest location in Cedar, Rapids Iowa.